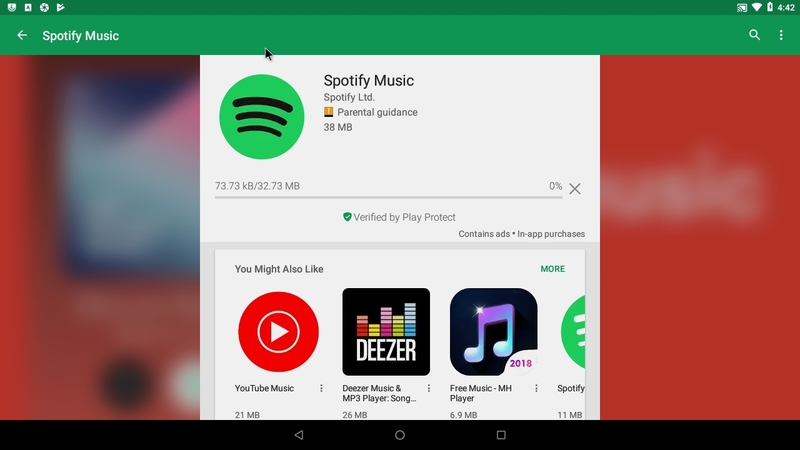 Build 180717 of RaspAnd can be downloaded for free by those who have purchased RaspAnd Nougat 7.1.2 Build 180529 (and previous versions of RaspAnd 7.1.2). That’s because RaspAnd Oreo 8.1 can be considered as “experimental”. It doesn’t work as good as RaspAnd Nougat. Fewer monitors/TV screens can be used and the performance is slower. 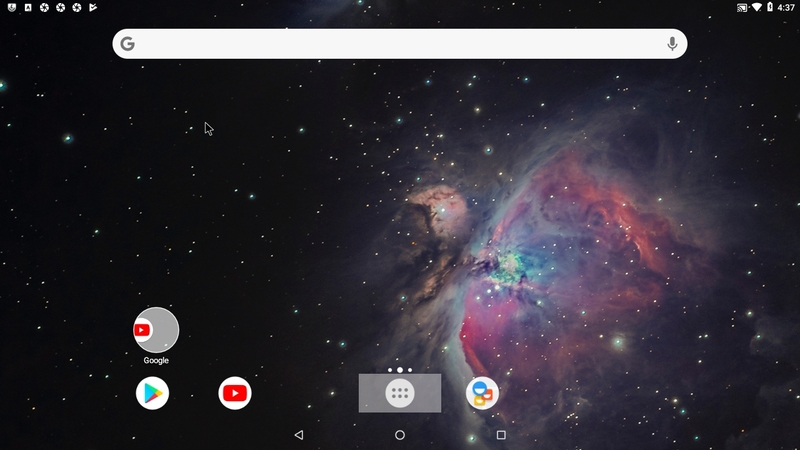 You must be aware of the fact that the Raspberry Pi 3 computer has its limitations and that Android Oreo 8.1 is a very advanced Linux system. 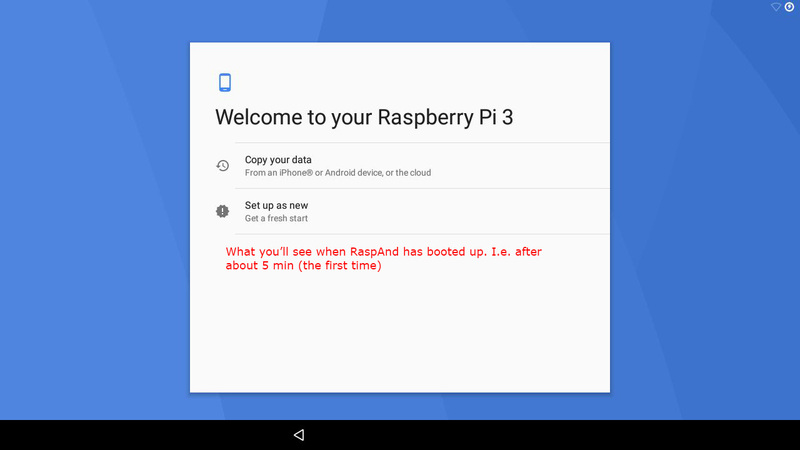 Even though the new Raspberry Pi 3 Model B+ can be used when running RaspAnd Oreo this small computer isn’t “strong” enough to run Android Oreo without performance problems. 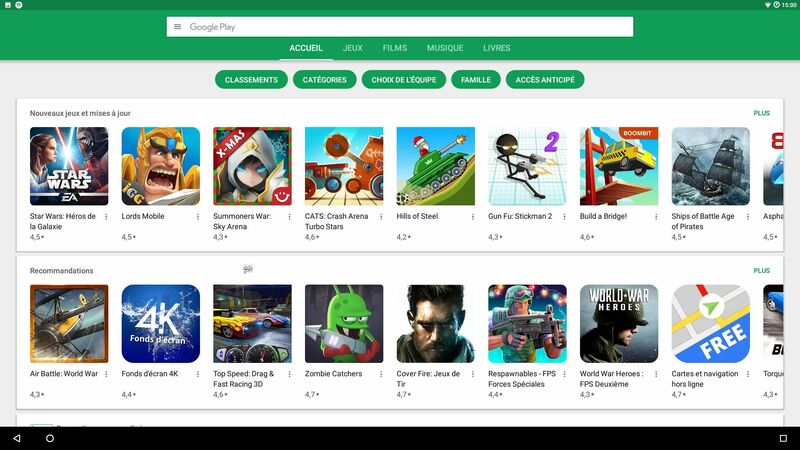 RaspAnd Oreo 8.1 Build 180717 has GAPPS installed and Google Play Store working. You can use TeamViewer to control other computers from your Rpi3. RaspAnd can be installed in Windows using Win32 Disk Imager or Etcher. Your Wifi connection is stable and it will reconnect after every reboot of your Rpi3. Slideshow – showing RaspAnd’s boot procedure. It’s for RaspAnd Nougat, but it works in the same way while running RaspAnd Oreo. While downloading RaspAnd Oreo 8.1 Build 180717 you will also get RaspAnd Nougat 7.1.2 Build 180529, which works much better than RaspAnd Oreo 8.1. 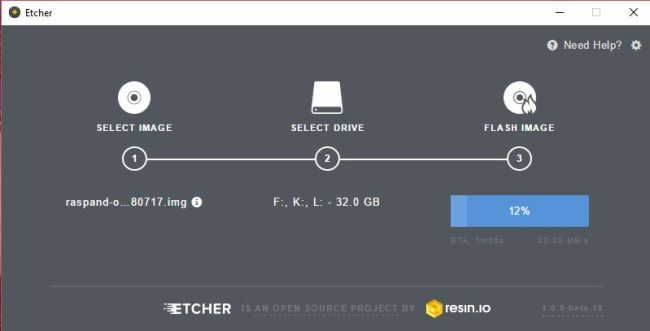 What’s the point with Win32 Disk Imager or Etcher? Well, until recently you had to have some basic knowledge about Linux to be able to install RaspAnd. Now you don’t need any special knowledge at all! (Just some basic computer knowledge). When you use Etcher it will look like this. As I said above RaspAnd Oreo Build 180717 can be installed in Windows using Win32 Disk Imager or Etcher. This method has one disadvantage. Only about about 3GB can be used as data storage no matter which card you use. Now say, for example, that you use Micro SD card (preferable a class 10 card) of 32GB about 26GB will be “wasted”. You can, however, change that with the help of GParted. See below how to do it. My work/build is the outcome of the Community Open Source Project, the LineageOS project and the Github project (Lineage-rpi). 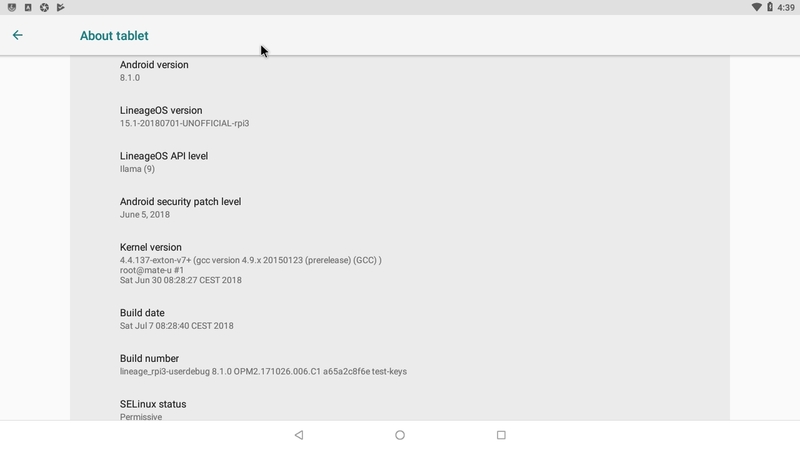 Kernel 4.14.54-exton-v7+ is used in RaspAnd Oreo Build 180717. The newer versions of RaspAnd has excellent support for Wifi (on Raspberry Pi 3 Model B and Model B+). Previous problems with the Wifi connection are gone. I.e. the Wifi connection will automatically be re-established after every reboot. Thanks to Lineage and Google. RaspAnd 8.1 version 180717 can be installed in Windows Win32 Disk Imager or Etcher – see above. 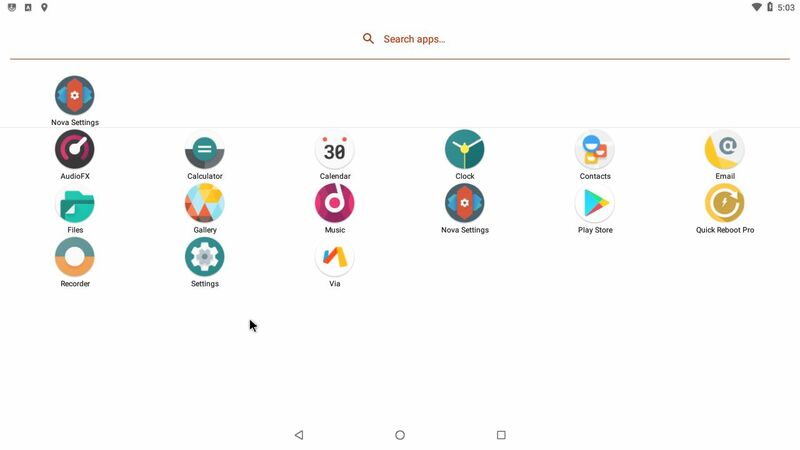 The first thing you will see on the screen is the Oreo Boot Animation. If you do not see that nice animation you haven’t installed RaspAnd correctly on the SD card. Try again and do EXACTLY as I write above. After about five minutes (the first time you startup RaspAnd) you will see the Welcome first screen. Watch a Slideshow – showing RaspAnd’s boot procedure and what you should do after you’ve seen the first screen. NOTE: When you see the first screen, you’ll have a chance to copy everything from your Android mobile phone to Rpi3/RaspAnd. I.e. choose the alternative Copy your data instead of Set up as new. If you do that you must be very patient. The whole process will take some time and you should also reboot your Rpi3 a couple of times. Be aware of the fact that installing/running many apps in RaspAnd will slow down the system considerably. You can, however, uninstall apps which you don’t need or apps which doesn’t run in RaspAnd. Watch a screenshot of RaspAnd’s Desktop when I have copied everything from my mobile phone to RaspAnd Nougat 7.1.2. Normally you use the Esc key to get back or end an app running. To end some apps you may have to use the Ctrl Alt F1 or F2 keys simultaneously. Note 1: You’ll also have a Back and Home key. 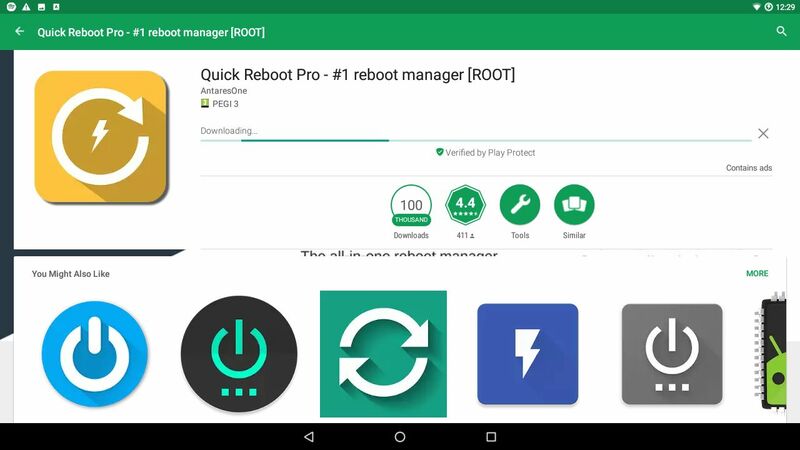 Note 2: You can also use the Quick Reboot Pro app (so you can reboot and power off your Rpi3 without using the power switch – screenshot). 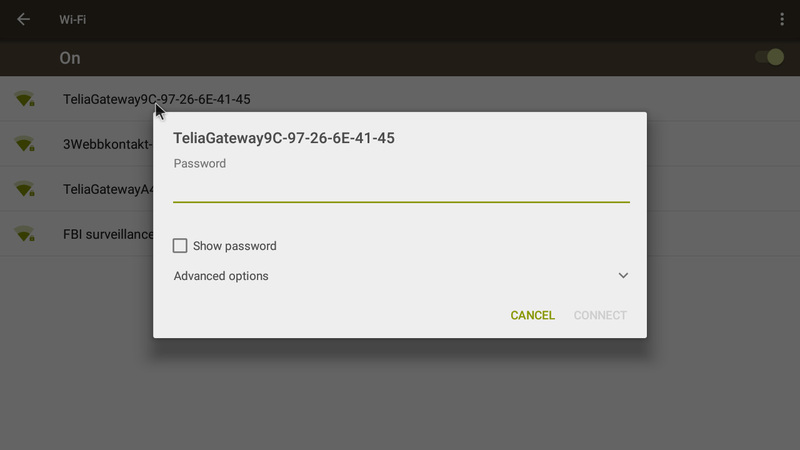 Go to Settings/Developer options and enable Root access. 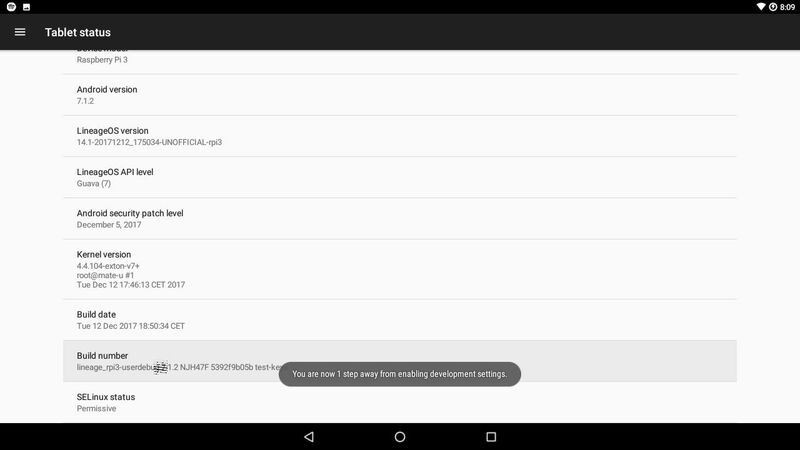 To be able to do that you’ll have to enable Developer options first. Go to Settings/About table and click on “Build number” about six times. Note: Quick Reboot Pro is pre-installed in Build 180717. You can change the default English language to your preferred language. Just open Settings and go to Languages & input. See an example below, when I’m changing to French. 5. Also Google Play Store! 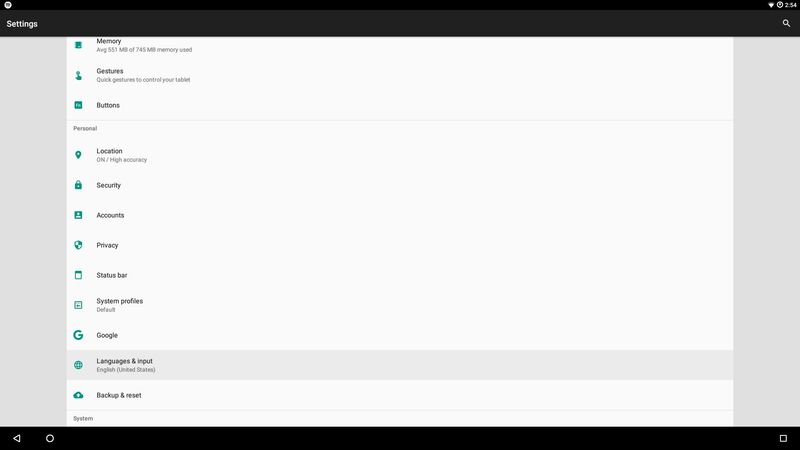 Bluetooth does not work in RaspAnd Oreo Build 180717. As an alternative you can use the TeamViewer app, which is pre-installed. 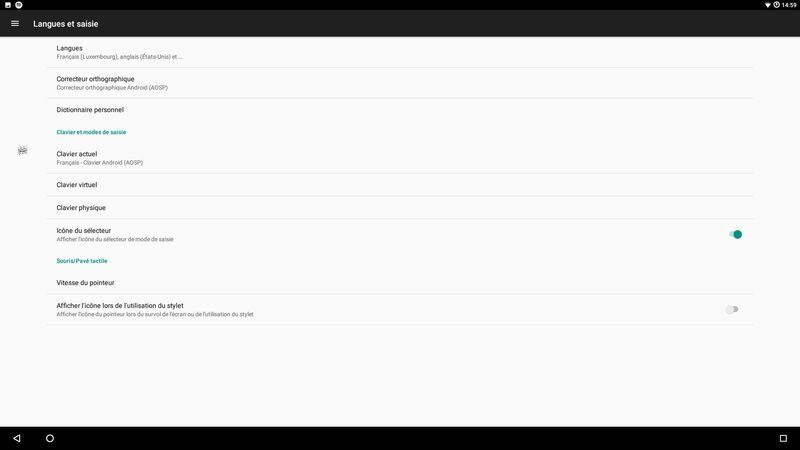 Screenshot when the TeamViewer app is running on my Rpi3 and controlling my PC. You can use your Rpi3 with RaspAnd Build 180717 for Video & TV cast. You can find a lot of apps to download for this purpose – screenshot 1, screenshot 2. 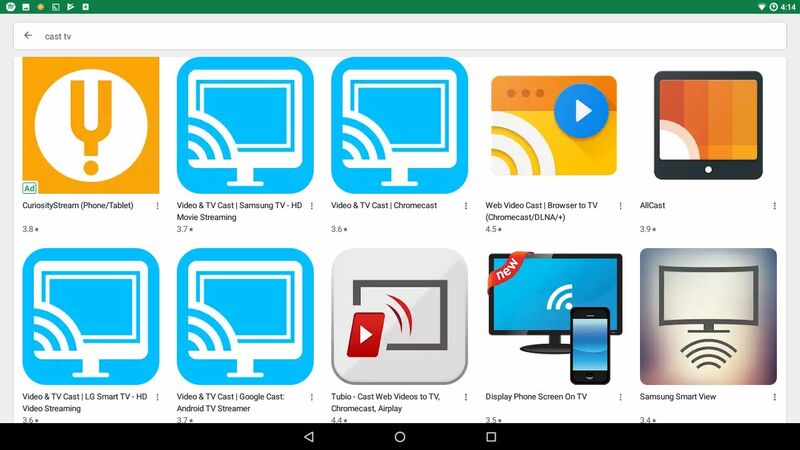 You can test download them via Google Play Store and keep the one which suits you and your TV. 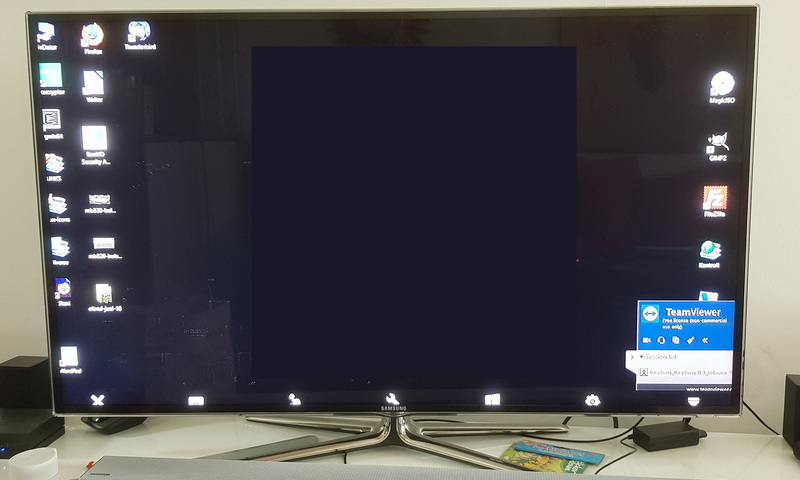 I used an app called PlayTo Samsung TV – screenshot. 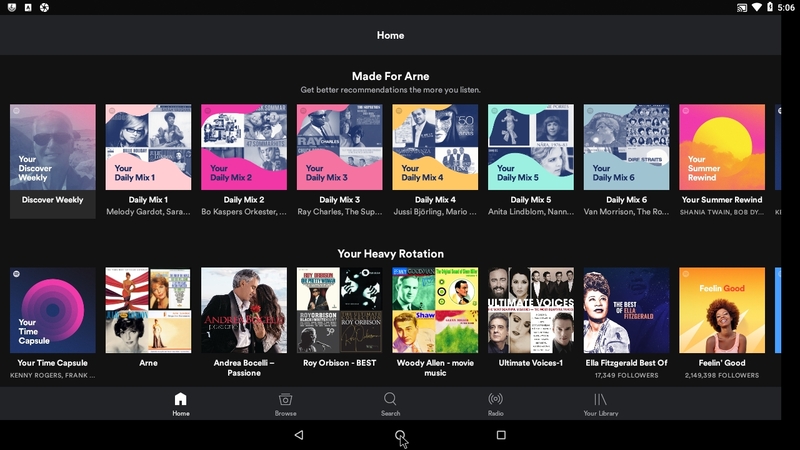 Spotify works very well in RaspAnd Oreo. 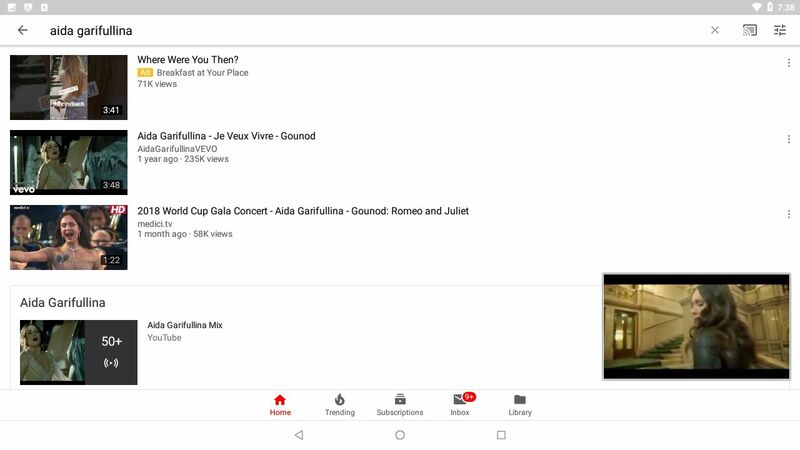 Just log in and play your favorite music! 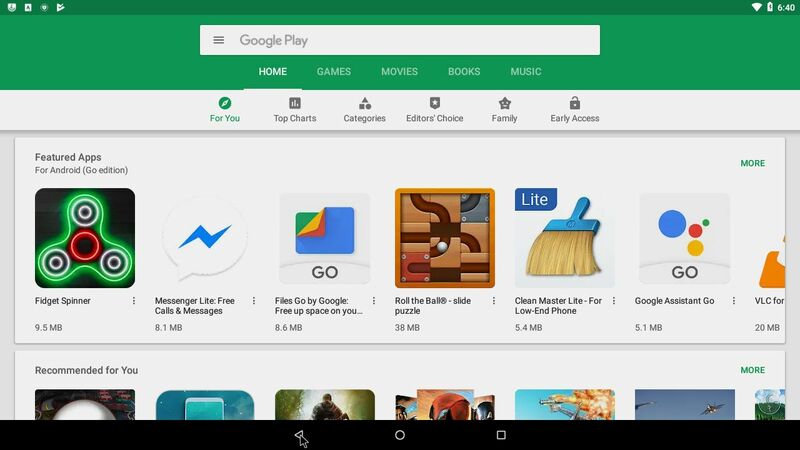 Install version 4.6 via Google Play Store. It can look like this. Running Android Oreo 8.1 on a Raspberry Pi 3 Model B and/or Model B+ can sometimes be perceived as a bit sluggish. If you find it so, I recommend that you restart the system a couple of times, then everything will run faster! I.e. not really superfast, but faster. For better performance you shall uninstall apps you don’t want/need. A: Settings -> About phone -> Click ‘Build number’ several times. A: Settings -> Developer options -> Advanced restart. Q: I have no root, why? 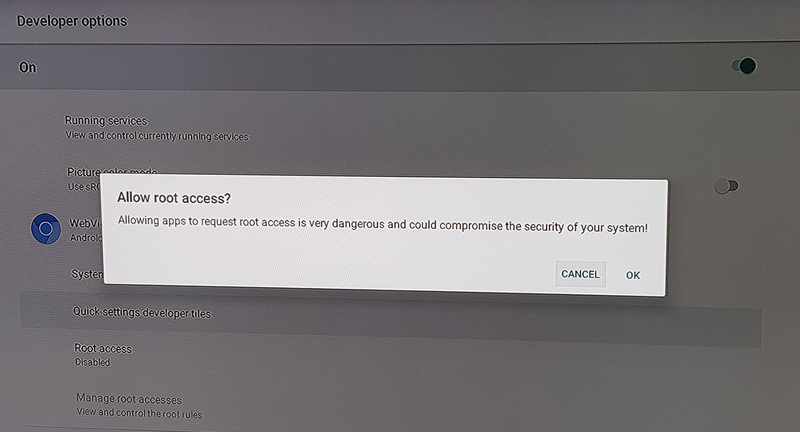 A: You need enable root access under Settings -> Developer options -> Root access. 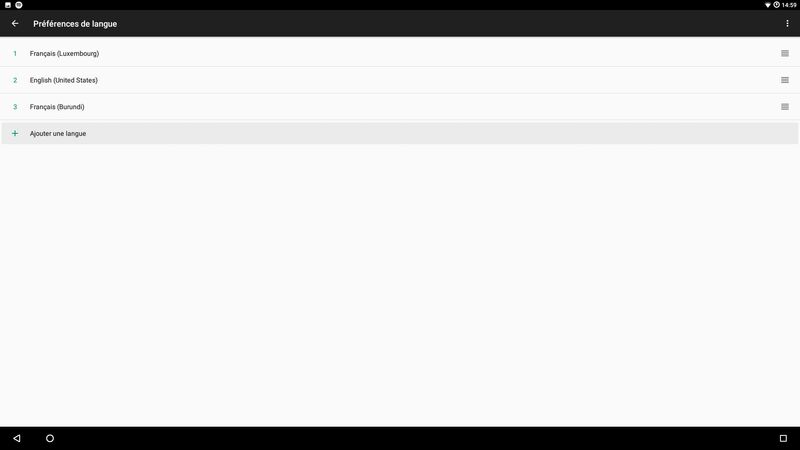 You can then also become root when running the terminal (Termux) – screenshot. 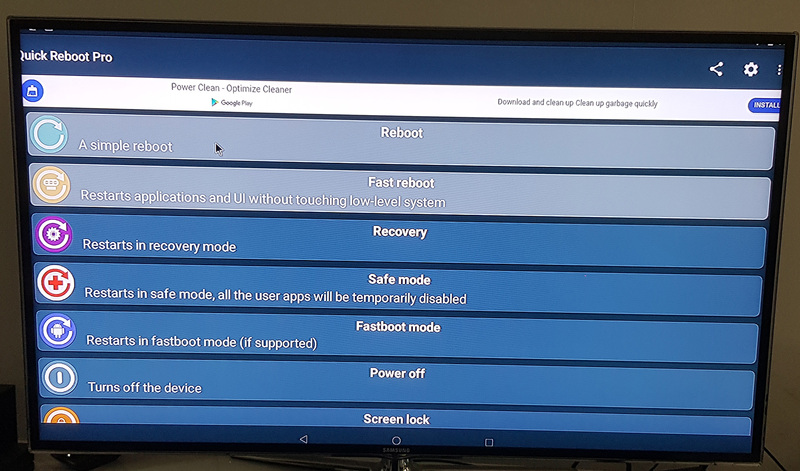 Q: Raspberry Pi doesn’t have power button, how do I power off/reboot my device? 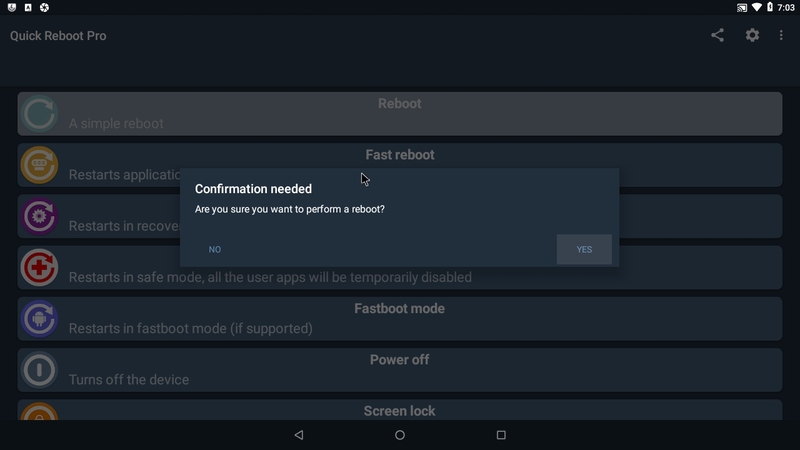 A: You can also use one of many third party reboot applications. Note: Quick Reboot Pro is pre-installed in Build 180717 – screenshot. PLEASE NOTE that you must be aware of the fact that the Raspberry Pi 3 Model B and Model B+ computer has its limitations and that Android Oreo 8.1 is a very advanced Linux system. Having said that I must also say that the apps I have included in this Build (see above) work very well. 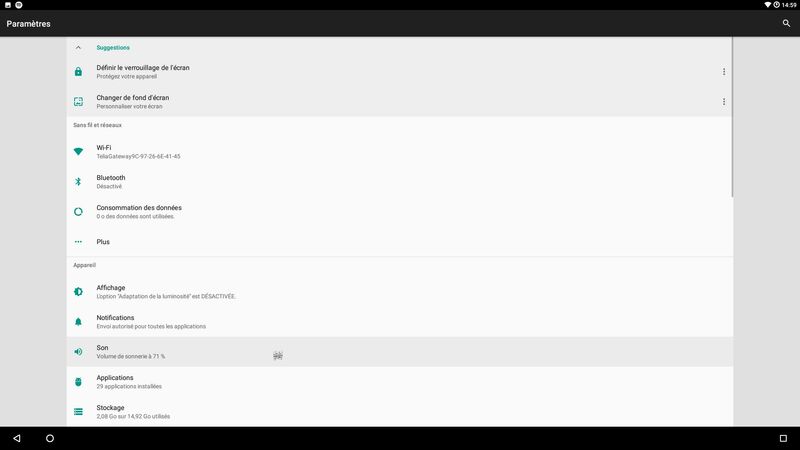 Most important changes in Build 180717: Your Wifi connection will be stable and you can use Raspberry Pi 3 Model B+. 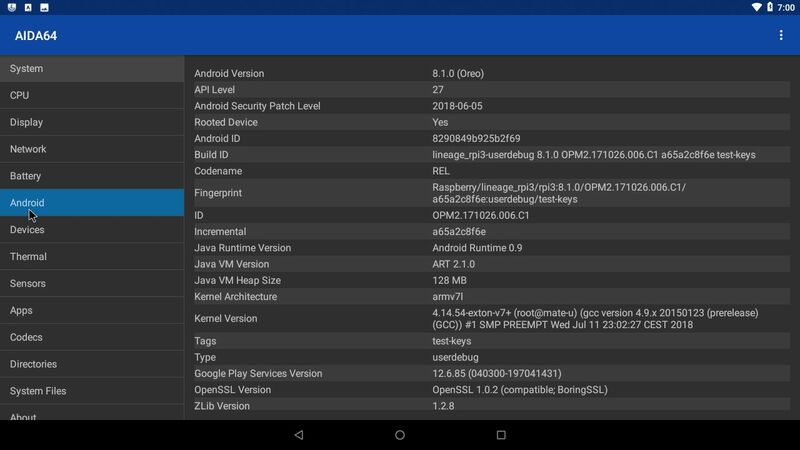 NOTE also: RaspAnd Oreo Build 180717 is (almost) perfect in every aspect considering that the Rpi 3 computer has its limitations. Nevertheless this build must be considered as “experimental” since it runs much slower than RaspAnd Nougat 7.1.2 Build 180529. You will therefore get three builds (RaspAnd Oreo 8.1, RaspAnd Oreo 8.1 Mini and RaspAnd Nougat 7.1.2) for $ 9. 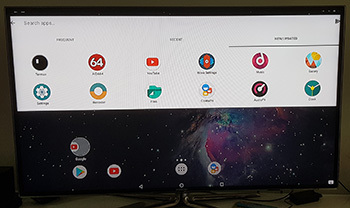 Running RaspAnd Oreo Build 180717 you can use the Raspberry Pi official 7 inch touchscreen and very Big TV screens. 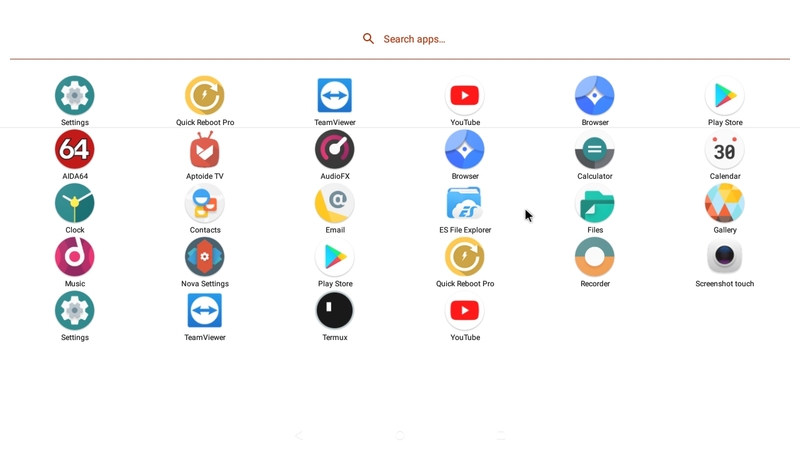 This entry was posted in Android, Exton Linux, Linux, RaspAnd and tagged Android Oreo 8.1, Aptoide App Manager, CM Browser, Etcher, exton, GAPPS, Google Play Store, Quick Reboot Pro, RaspAnd Oreo 8.1, Raspberry Pi 3 Model B, TeamViewer, Via Browser, YouTube. Bookmark the permalink. 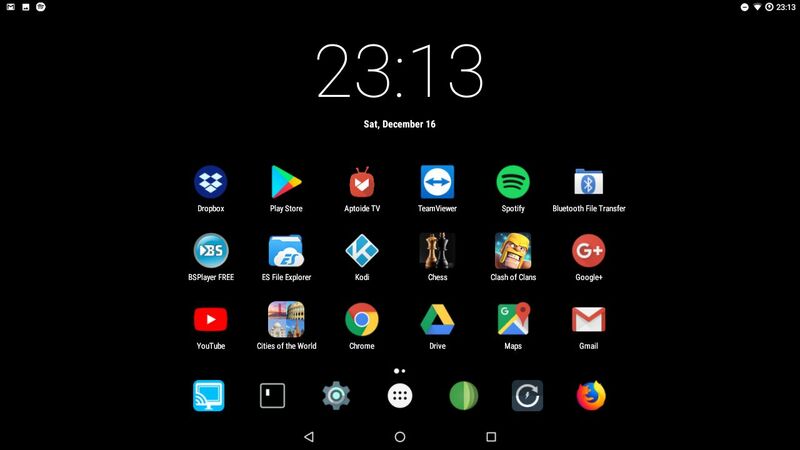 “Arne Exton informs Softpedia today about the availability of the first version of its RaspAnd operating system for Raspberry Pi computers based on Google’s latest Android 8.1 Oreo mobile OS. Hi! great solution. Just a question. I see in the post that netflix does not work. Does Prime Video app work? 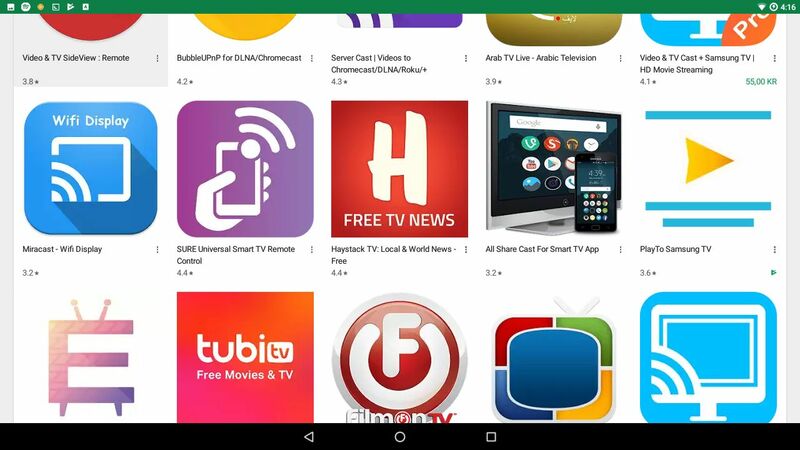 You can install the Prime Video app via Google Play. If it runs or not I can’t say since I don’t have an account. (Netflix can’t even be installed). just one question. Can I control it with the TV remote controller and HDMI (cec). 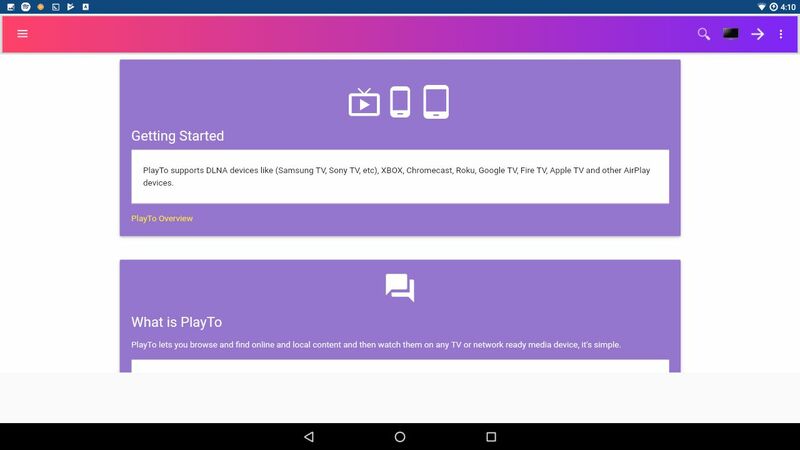 I liked to use it like Android TV, youtube and Kodi. I don’t know. Somebody else? I tried to image with dd and Etcher same result. I have a B+ any idea? Use a HDMI cable and/or try it with another monitor. 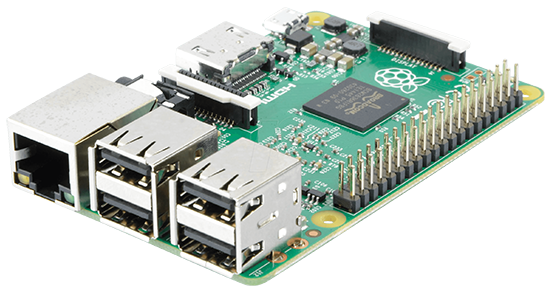 I want to buy RaspAnd Oreo 8.1 for Raspberry Pi 3 Model B and Model B+ – Build 180717 (two versions). However, the RaspAnd Nougat 7.1.2 for Raspberry Pi 3 – Build 180529 is what I see when I click above download links. Build 180717 for Pi3B+ is not ready? Hi! do whatsapp works on this version and 7.1? I have a Pi3 B+ and am only interested in running 1 android app ( which I have the apk. 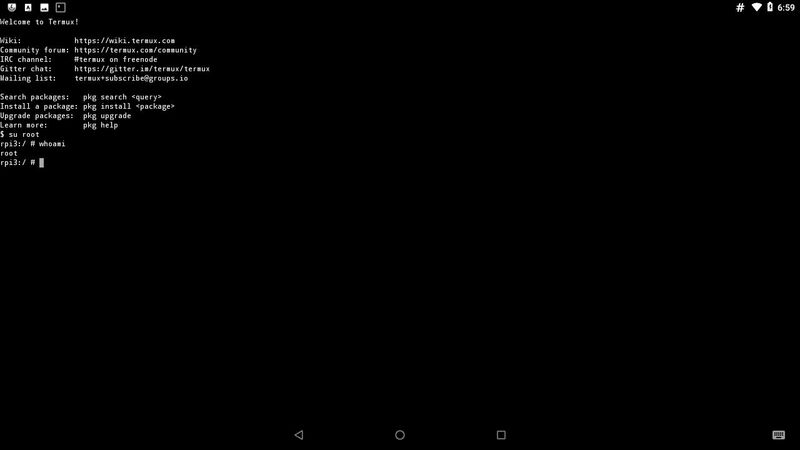 IpCamViewer Pro) Can I just install Nougat and somehow install the apk without the playstore? Or get it installed from my Samsung 9+ ? No, you can’t (or at least I don’t know how to do it). 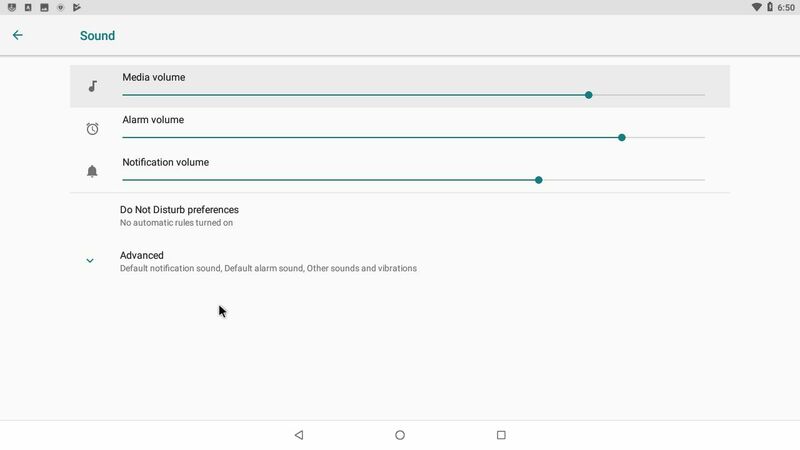 Besides Nougat doesn’t work on the new Rpi 3 Model B+. Hey Exton, can you help me? As I say on the INFO site RaspAnd Oreo is to be considered as “experimental”. Hopefully future versions will be a bit faster. 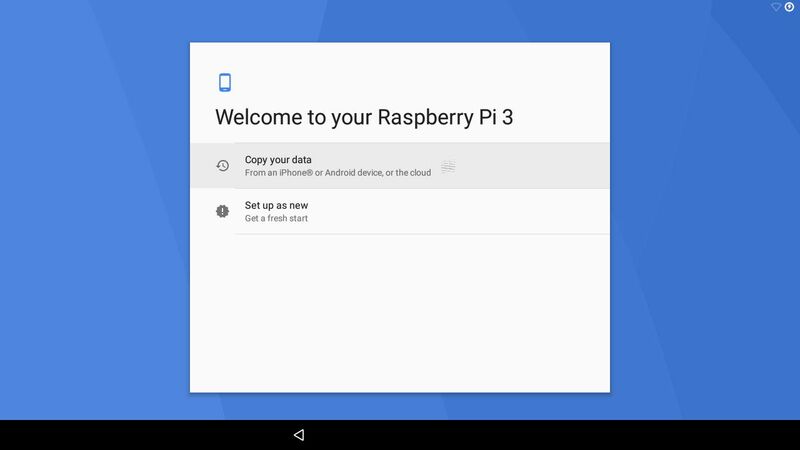 Hi, I am using the raspberry pi 3 B+ and install the Android oreo 8.1 to my raspberry pi 3 B+. but it doesn’t work, it keeps looping in the boot animation. How can I fixed it? Thanks! It works for everybody else. Try with another card and/or another monitor. How did you install it? Hi I’ve just bought and installed Android Oreo 8.1 on my latest RP 3 b+ with touchsreen but it is really too slow even for testing. I saw another comment about this. Is it really the way it was intended or is there a way to make it smoother ? Please restart your Rpi a couple of times. The system will run faster then. Not really fast, but faster. I also have a raspberry pi 3 B+ with Android oreo 8.1. It is slow as mentioned above + random freeze as soon as i use the mouse to naviguate between apps. Then i need to hard reboot the device. Exton, would you be working on a new version bringing more perf and stable release by any chance ? 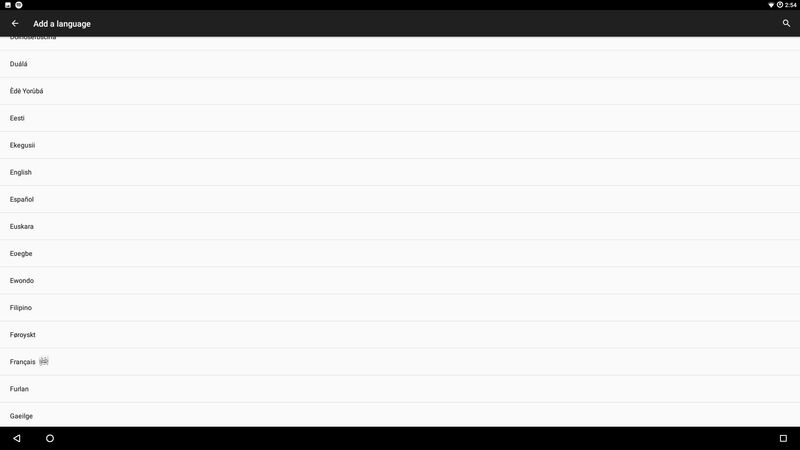 I’m trying, but the Rpi 3 isn’t “strong” enough for Oreo (it seems). More RAM is needed. Maybe we have to wait for Rpi 4? If you mean Zealot https://play.google.com/store/apps/details?id=com.fretzealot&hl=en I should think it can work. I can’t test it myself right now though. Does this support any cameras? Ideally a Raspberry Pi camera but a USB camera would be fine too. Or does it really depend on the app? So far I’ve tried Google Hangouts and that does not seem to detect a camera. Lastly, will the image boot from a USB thumb drive provided the “bit” is flipped on the RPI3 board already? Will this card work on android? I think so, but I can’t say for sure. Sorry. Amy plans to put out newer images? Yes, very soon I hope. – these new images will be free just for whom paid 9$ before, free for public or paid again ? – what about port to Android GO ? (Which is optimized for slower devices). 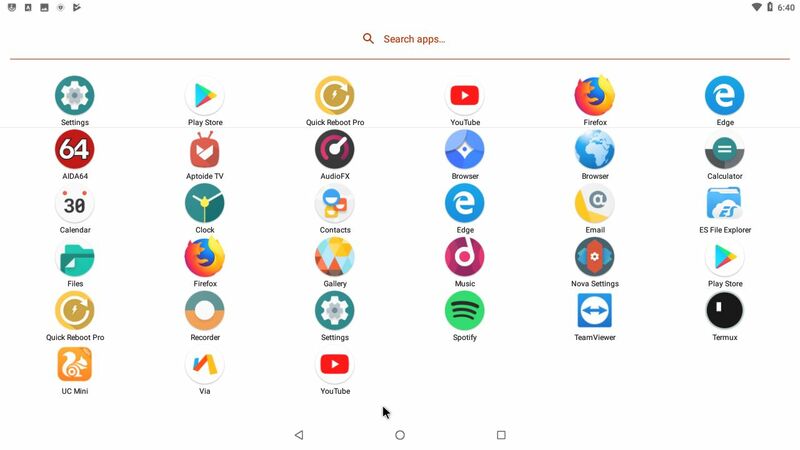 Every new version of RaspAnd Nougat respectively RaspAnd Oreo etc will be free for those who have bought one version. Android GO: I will see what I can do. Is there a Pi Camera support in RaspAnd Oreo? Have tried Lineage before but I’m not getting any idea how to make the pi cam work. I was plugin a 10.1 touchscreen.display fine, but no responce with touch. Tried to review what to change / add into config file, but don’t see what. Have you an advise to where search for ? This should work for Raspberry Pi’s official touch screen. About yours I don’t know for sure. /boot/config.txt shall look like this. Hey. Thank you so much for Your great work. I have a BIG problem. My device will stuck in the „Searching for upgrades“ process, at the first start-up. It is hanging there for abour 1 hour. Internet connection is ok… what am I doing wrong?! Which version did you try? “Hanging for about 1 hour” you say. Does it start up “normally” after that? Anyway it shouldn’t be stuck. Try to reinstall using another card. Hi, android RaspAnd supports Ethernet interface, sound, USB port, GPIO, Wifi card, DSI CAM, official 7 inch screen of Raspberry Pi 3 B and Raspberry Pi 3 B +? I don’t know since I don’t own one. Somebody else?